Hotel "Katran" is located in the village. 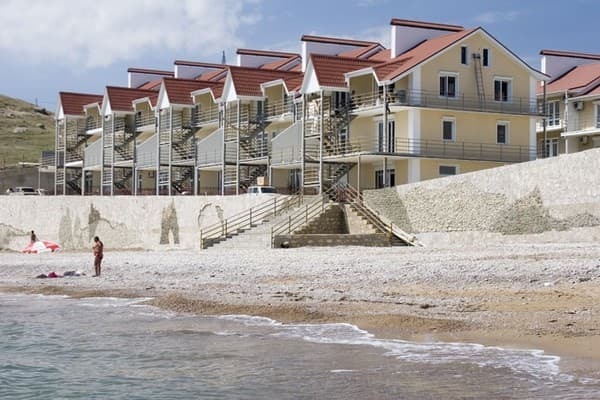 Ordzhonikidze in 20 m from the sea in a quiet and cozy bay under the name "Bay two-legged". 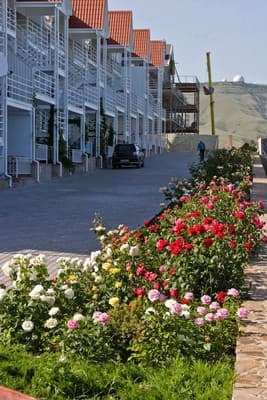 From the picturesque view of the sea open spaces and mountain ranges. Here all conditions for a comfortable and interesting holiday are created. 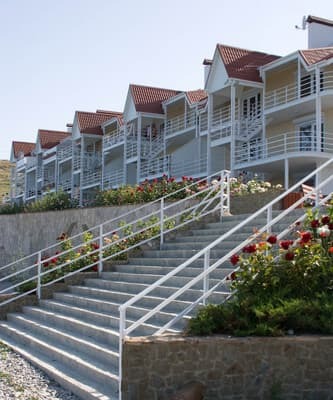 We offer accommodation in comfortable rooms of various categories. 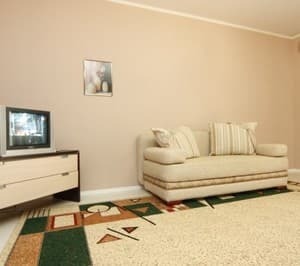 Each room has: air conditioning, cable TV, cold and hot water. 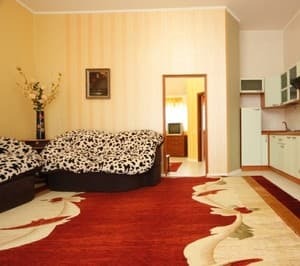 The services provided by the hotel "Katran" will allow you to enjoy a pleasant full rest without worries. There is billiards, laundry, parking. There is also a rental of beach equipment, water equipment, sightseeing programs. The cozy atmosphere of the hotel will make you feel at home. 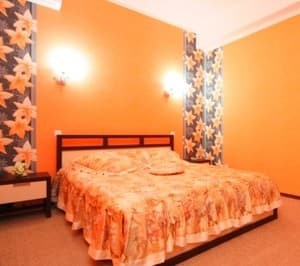 Hotel "Katran" is perfect for recreation, both adults and children. PRICES MAY CHANGE, YOU NEED TO RECEIVE INFORMATION FROM THE OPERATOR! 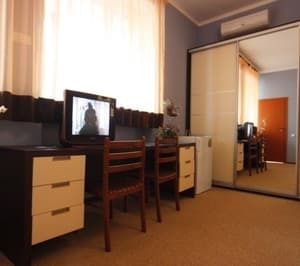 Description of the room: Double room with an area of ​​25-26 m2. In almost every room, the entrance is through a terrace overlooking the mountains. In the room to 2 main places you can put one extra. A rollaway bed is used as an extra bed. Description of the room: Rooms with an area of ​​55 m2. In this category: a chic panoramic view of the sea, the beach and mountains, new modern furniture, a double bed, a double sofa. 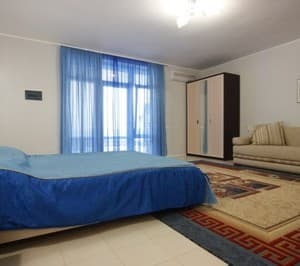 Description of the room: Spacious room of 50 sq.m. In the room there is a double bed. 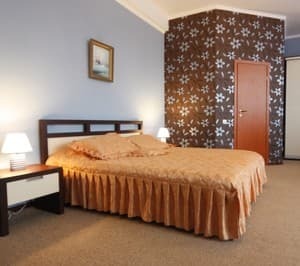 Description of the room: Comfortable room for a relaxing stay. From the terrace at the entrance to the room you can see a wonderful view but the sea. In the room: double bed, double sofa, table, chairs, wardrobe. Description of the room: Spacious three-room suite. In the rooms of this category: new modern furniture, 2 double beds, double sofa, table. Description of the room: Spacious two-room suite. The area of ​​such rooms is 55 m2. These rooms offer stunning views of unspoilt nature. In this category: comfortable modern furniture, double bed, double sofa, wardrobe, table, chairs. Additional place for children is 100 UAH. (Crib). Hotel "Katran" is located in the village. 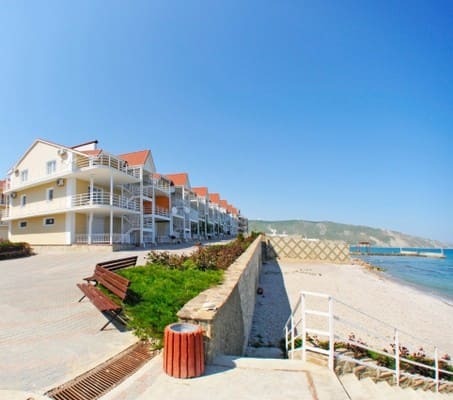 Ordzhonikidze on the Black Sea coast in a beautiful bay, 10 minutes drive from Feodosia, next to the famous resort village of Koktebel. 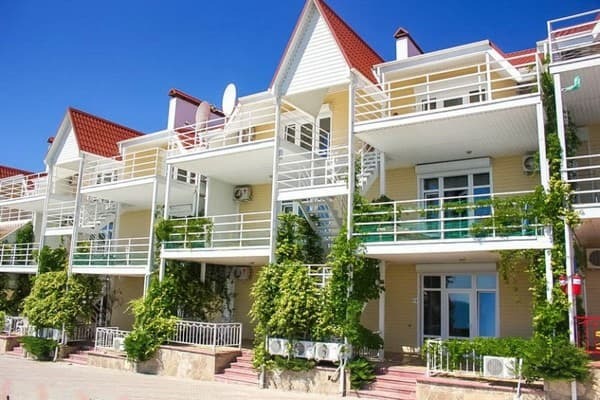 To the sea - 20 m. Distance to the market - 3 km. By train to the city of Feodosia, then a shuttle bus to the town. Ordzhonikidze. The stop is Bighorn. There is a possibility to book a transfer.